Most pictures are old scans from slide film hence the so-so quality. 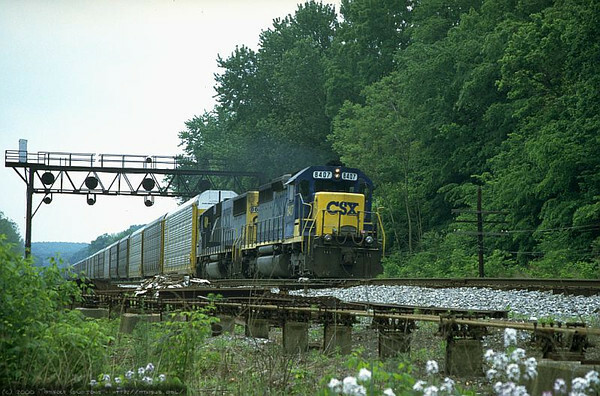 Westbound Q200-series auto carrier train at Cherry Run, MD. 2000.